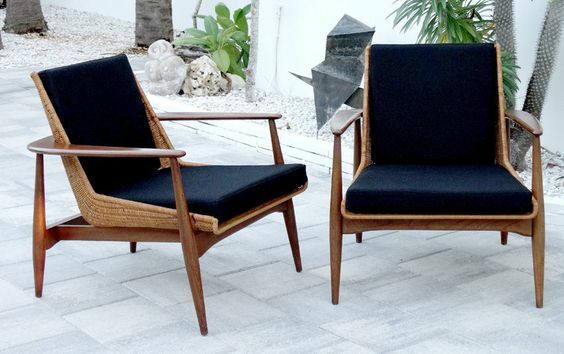 We recently acquired a pair of beautiful forest green barrel back lounge chairs that were designed by Lawrence Peabody for Richardson Nemschoff. Over the years, we have come across other Peabody designs, but not enough to be very familiar with the designer’s background, which leads me to believe his designs have become somewhat rare. Researching more about him has been fascinating, especially learning more about his involvement in Le Centre D'Art in Haiti. 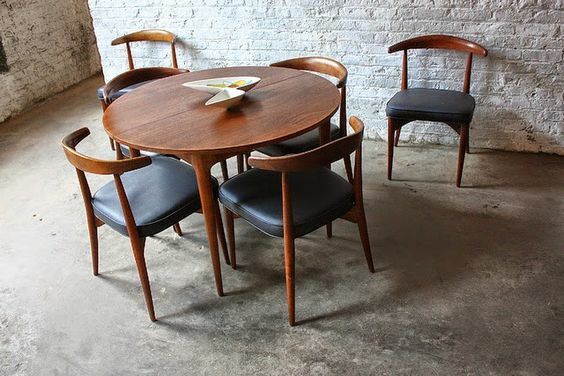 Lawrence Peabody (1924-2002) was an architect, interior designer, and furniture designer. He was born in Haverhill, Massachusetts, where even as a child he frequented antique shops. Peabody trained at the Rhode Island School of Design in Providence, Rhode Island where he earned a bachelor of arts degree in 1950 and then went on to study at the Royal Academy of Fine Arts in Copenhagen, Denmark. In 1955, Peabody started his design firm, Lawrence Peabody and Associates, in Boston. Some of his clients included Kohler, Richardson Brothers, Boyd Lighting, and Sears, Roebuck & Co. He also helped design many hotels in the US and the Caribbean. Many of his most recognized furniture designs were manufactured by Richardson Nemschoff. In the 1960’s, Peabody bought a 17th century gingerbread house in Port-Au-Prince, Haiti, where he and his family lived for six months out of the year and where many of his best known designs were conceived. While living in Haiti, Peabody befriended DeWitt Peters, the founder of Le Centre D'Art , which gave an opportunity to hundreds of local artists through art classes and gallery exhibition exposure. Peabody served as a director of Le Centre d’Art, and together with DeWitt and several others who were involved in Le Centre D'Art, such as Philippe Thoby-Marcelin and Francine Murat , helped promote interest in Haitian art and craft, thus creating a dependable income for hundreds of Haitian artists and artisans, many of whom were once impoverished. Through a collaboration with Richardson/Caribbean in the late 1960’s, Peabody helped bring a collection of one-of-a-kind furniture made by Haitian artist-craftsmen to the United States. He also incorporated Haitian art in his design projects. Lawrence Peabody died in Boston, Massachusetts in 2002 at age 78. Peabody’s daughter is quoted saying, “I really think his mission in life was to beautify everything”. His love of art and design even influenced his decision to serve in the Navy during World War II. “He chose the Navy because he liked the uniforms. He loved those bell bottom trousers,” his daughter said. In the Navy, Peabody was nicknamed “Eagle Eye” for his keen eyesight. I imagine he got this nickname for his attention to detail, too. And who doesn’t love sailor pants? Lawrence Peabody was my kind of guy.